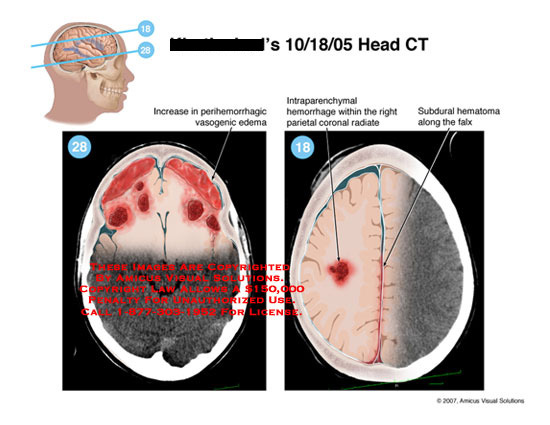 Vasogenic edema and hemorrhages illustrated on brain CT. Per copyright law, it is unlawful to copy and/or use these images without permission. To purchase a license to use this image (Exhibit 07066_04X), call 1-877-303-1952. Prices start at $295. We can also modify this exhibit to match your needs.